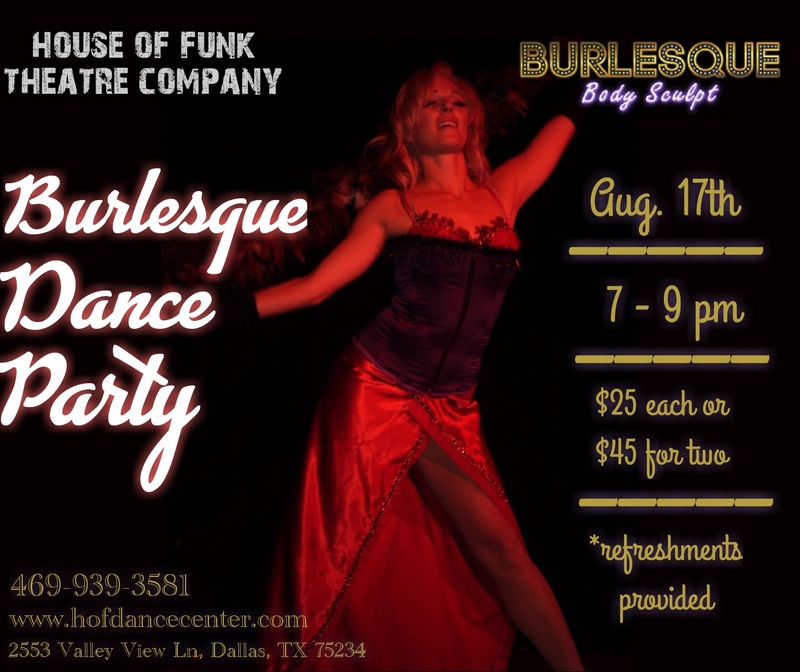 We’ve got another Burlesque Dance Party for you, Dallas! Join us Friday, August 17th at 7 pm at HOF Dance Center (House of Funk). Check out the flyer for more info! No class this week. Classes return next week at House of Funk in Dallas! When our Burlesque Body Sculpt™ classes first hit the Dallas scene, we were featured on Good Morning Texas. Class tonight! 7:30PM. Tonight’s theme: Naughty or Nice! Available only at House of Funk in Dallas!